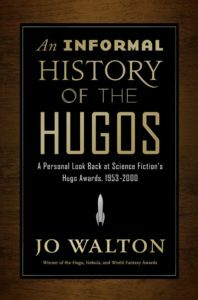 An Informal History of the Hugos: 1953-2000 is a collection of a series of blog posts I made on Tor.com in 2010, analysing each year’s Hugo nominees in terms of whether they were the best five books of the year. I’ve always felt the whole set of nominees gives a better feel than whatever the one winner is. This book has my posts, together with some of the best of the comments they collected. It’s a personal idiosyncratic look at science fiction history in the second half of the twentieth century, using the Hugo Awards as a tool. It was published by Tor Books on August 7rd 2018. 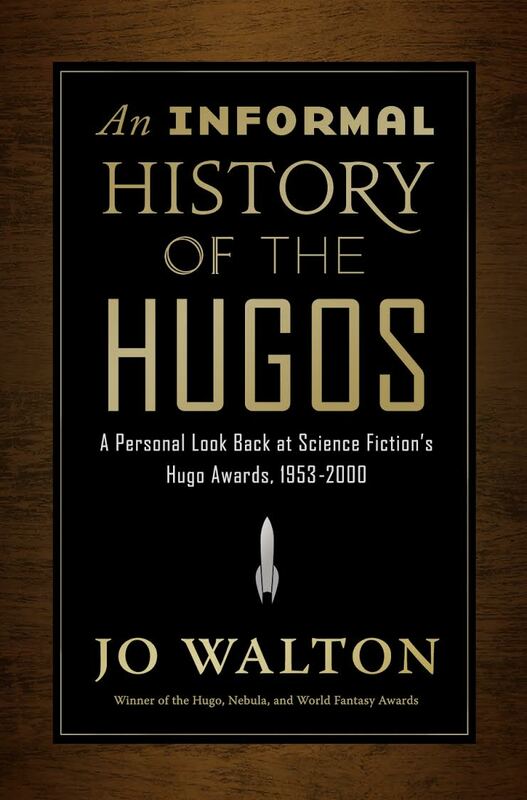 It was itself nominated for a Hugo in the category of Best Related Work in 2019. The Hugo Awards, named after pioneer science-fiction publisher Hugo Gernsback, and voted on by members of the World Science Fiction Society, have been given out since 1953. They are widely considered the most prestigious awards in science fiction. Between 2010 and 2013, Jo Walton wrote a series of posts for Tor.com, surveying the Hugo finalists and winners from the award’s inception up to the year 2000. Her contention was that each year’s full set of finalists generally tells a meaningful story about the state of science fiction at that time. Walton’s cheerfully opinionated and vastly well-informed posts provoked valuable conversation among the field’s historians. Now these posts, lightly revised, have been gathered into this book, along with a small selection of the comments posted by SF luminaries such as Rich Horton, Gardner Dozois, and the late David G. Hartwell. What the book does demonstrate is that, even if the history of the Hugos is as much a history of fannish taste as of the growth of SF, arguing about them never gets old. I spent a very happy time reading it, but perhaps more importantly it made me want to read books I haven’t read and reread ones I have. It is a celebration of books and the genre by a fan and should be appreciated by anyone who loves the genre like Jo – and I – do. For all the good and bad, for all of the hullaballoo, it is ours and deserves appreciation. Recommended.